The Golden Oldie Picture Show was produced by John King at Pebble Mill, and presented by the Radio 1 DJ: Dave Lee Travis. The series ran between 1985 to 1988. The show featured new music videos made for old hit records. Different film makers recorded their own interpretation of the songs. Dave Lee Travis introduced and linked the show. These photos are from the 1986 Christmas show, which went out on 22/12/86. 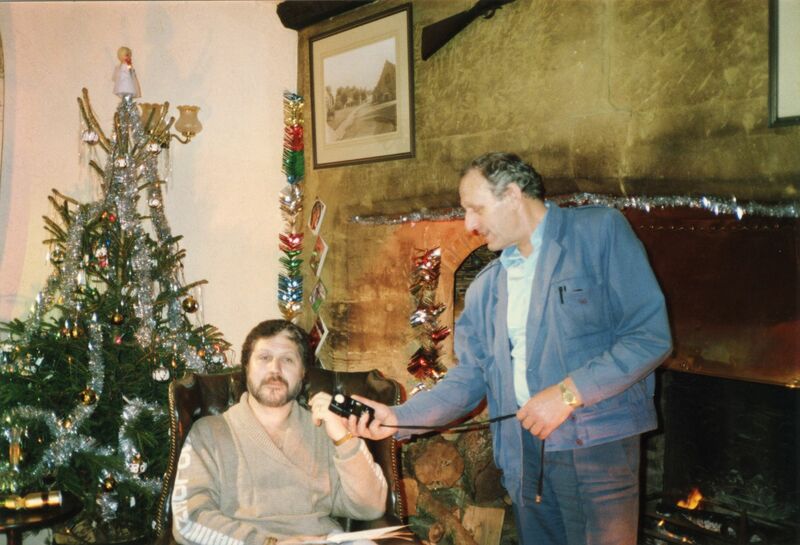 The first photo shows the ‘links’ set up with Dave Lee Travis, and the others show the location filming of ‘I Wish It Could Be Christmas Everyday’. In the photo with Father Christmas you can see the cameraman Simon King, now well known as a wildlife cameraman, and son of producer John King. Gail Herbert, who took the photos,was the Production Assistant on the Golden Oldie Picture Show.